I love the lemon scent cleaner to clean my kitchen and toilet floor. It smells so good and make the floor clean, shiny and fresh with lemon fragrance. Ajax floor cleaner is a very good product for my kitchen,bathroom and toilet floors.It cleans beautifully and the scent of lemon is lovely to smell. I have lots of floors that need cleaning and I do like the smell of lemon. I have used this floor cleaner by Ajax and it works well, leaves the floor clean and smells good with lovely lemon fragrance. 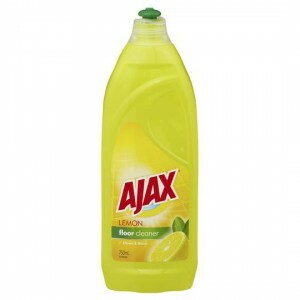 How would you rate Ajax Floor Cleaner Lemon Scent?